Hello! 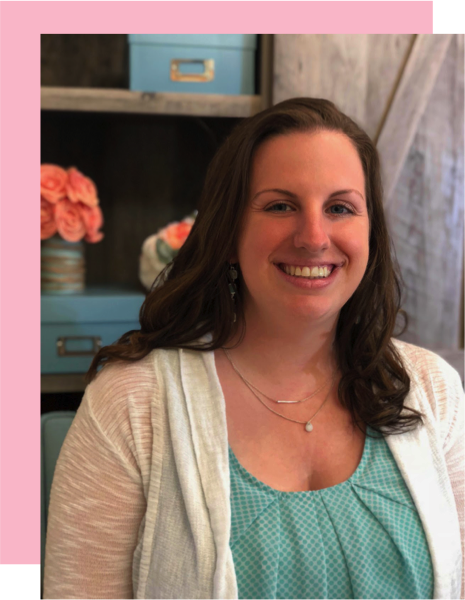 I am excited to be linking up with Dirt Road Teacher for her series geared toward beginning teachers. Over the past few years I have had the opportunity to be an official mentor to many first year teachers and also a Model Classroom for my county. What I enjoy most is sharing ideas with fellow teachers! If you ask my friends, family, and coworkers about my summer favorites, they may tell you that I LOVE back to school shopping. I am definitely the one who plans out my shopping trips, visits multiple stores a week, and forces recruits friends to shop with me to get even more deals. 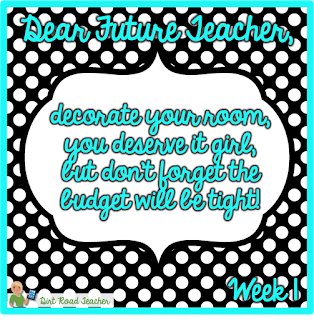 I am always looking for the best prices and innovative ways to decorate on a budget. Today I'm going to share my Budget Friendly Decorating ideas. I LOVE going in to teacher supply stores! However, I know that I can quickly blow my budget if I am not careful. You can find many of the same decor items at your local craft store. Plus, AC Moore and Michaels offer teacher discounts and usually have a 50% off coupon. 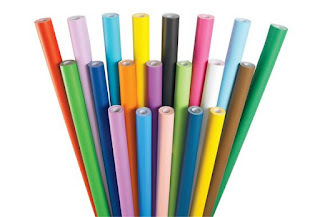 I like to stock up on Fadeless bulletin board paper or fabric to cover my bulletin boards. I hang the piece at the beginning of the year and just change out the work on top. One item that I love to buy from my local craft store is a science fair style board (tri-fold board). Here is a quick way to add a pop of color to the back of open shelving. Most schools also have a die-cut machine to cut out cute letters. When I know that I want just one heading in a fun color I buy glitter paper or scrapbook paper for a few cents a piece and cut out my own letters rather than buying a pricey set. Another option is to look at Dollar Tree in their Teacher Section for packs of letters. This is similar to idea number 1 about building on a theme. Get in the habit now of hoarding saving items you know you will buy again the next year. Whenever I buy decorative posters I always laminate them. This way they last longer. I also sometimes attach labels prior to laminating with group names, etc. Then, I can just switch out names throughout the year with a dry erase marker. 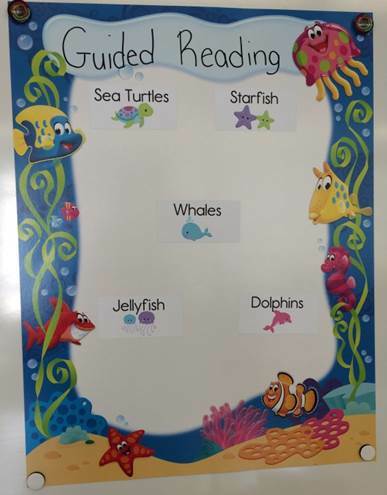 Rule posters, color posters, vowel charts, etc. are great to resuse. Another way to save is by rolling up your borders each year and saving them. 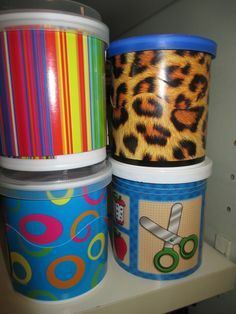 Here is a cute Pinterest idea about storing them in old frosting containers. I wish I could tell you mine are this cute but they're not. I roll mine up, paper clip them to themselves, and store in a large plastic bag. 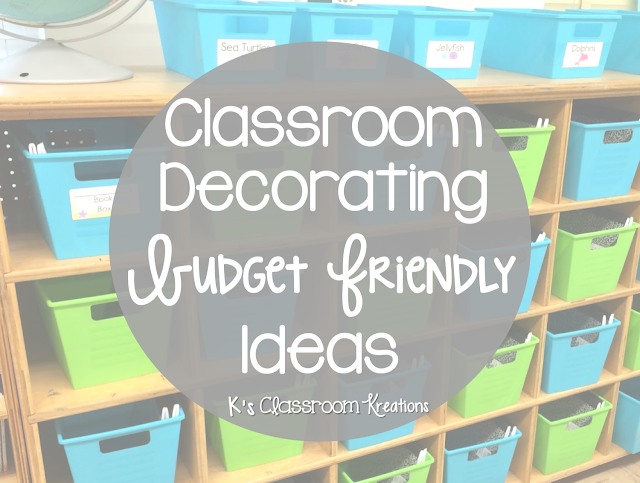 By now I am sure you having been checking out Pinterest for tons of cute classroom ideas. Find a few that seem manageable and have a blast! Like I said, I use science boards for shelving, fabric for bulletin boards, and whatever other items I can repurpose. I attached three milk crates together and made a bench seat for my library. I also made a few crate seats. You can also use a shower curtain from a dollar store as a bulletin board backdrop as well or to cover open shelving. If you find an old table or stools feel free to spruce them up with a can of spray paint. 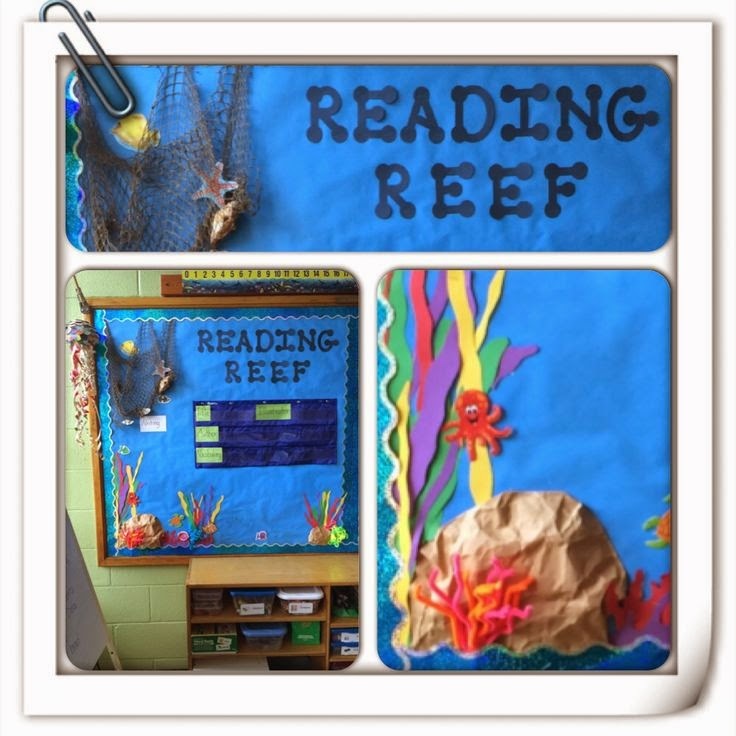 One of my biggest expenses when I first started teaching was building my classroom library. I wanted it to look beautiful and be FULL of books. I spent hundreds of dollars my first year until I learned a few tricks of the trade. * Use Scholastic Reading Club (book orders). Books are reasonably priced, ordering is easy, and you earn FREE books. If you need any help setting up an account just message me and I'd be happy to help. * Scholastic also has Warehouse Sales a few times a year. You can sign up to volunteer and get paid in books. They have build-a-box deals and coupons as well. I usually work one 7 hour shift and leave with hundreds of dollars worth of books (and only pay $10 out of pocket). *Ask your local library about the book sales they host. Many libraries have sales a few times a year where they discard books. You can normally get library bound copies and bundles for only a few cents each. Ah-maz-ing! * Purchase boxes and containers from the Dollar Tree. After all, who doesn't love a good dollar deal? I again pick one or two colors and buy boxes in bulk. Invest in some Avery Labels and go to town printing! 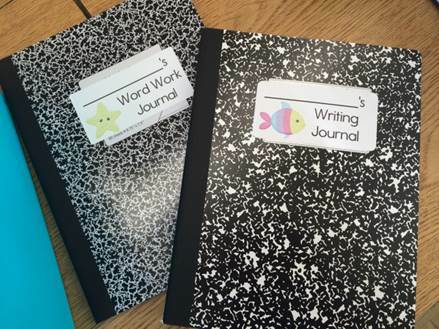 I love having all of my classroom materials labeled and student folders/notebooks/binders prepped for student names. This is a quick and easy way to implement a theme as well as organize your room. By using matching labels around the room, everything is instantly tied together. 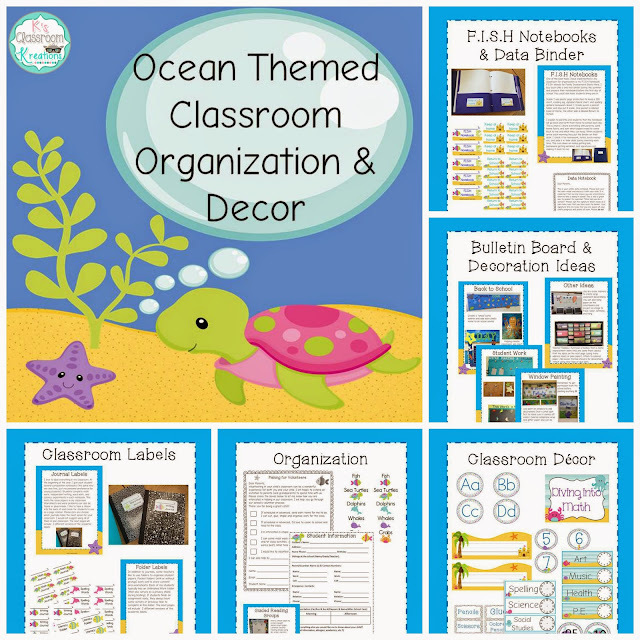 Here is one of my favorite items from my store that shows how I organize my room, includes all decor in an Ocean Theme, and even provides the matching labels. One instant classroom coming right up! 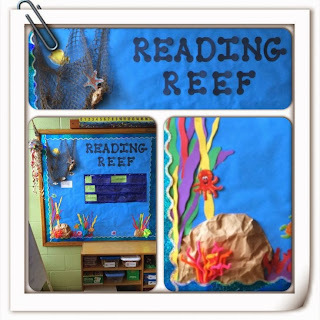 For other classroom decorating ideas be sure to check out my Bulletin Board series, Classroom Organization board, and Ocean Themed Classroom Board on Pinterest. Check out these other great posts for even more decorating ideas on a budget. Enjoy!! Great money saving ideas!!! Thanks for linking up!!! I love your milk crate seats! Great blog post. So many great ideas! I love the shelving! I definitely could have used that in my classroom last year!